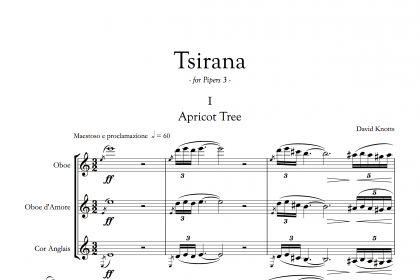 The first movement is bold and proclaiming in character, celebrating the sound-giving tree. This is followed by a virtuosic moto perpetuo, with the three instruments entwined together. 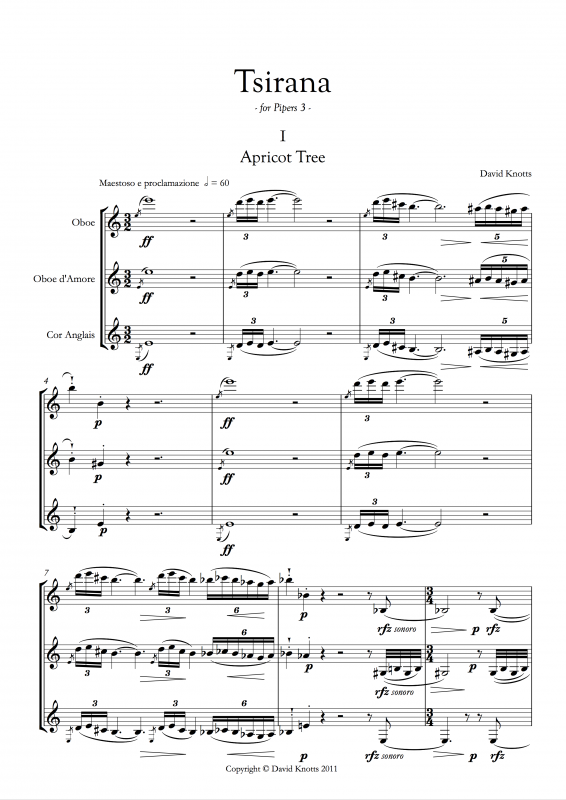 In the solemn third movement, each player ‘sings’ alone in the shadow of the tree. The dramatic finale draws on the music of the previous three movements: the wind howls and the music rushes headlong into the tempestuous sea. This work was commissioned by Robert Clark and Susan Costello and premiered as part of the 2011 St Magnus International Festival. Don’t let your branches entwine, vay!